On April 1, 2015. Agriculture Secretary Tom Vilsack announced that Forsyth Farmers’ Market (FFM) was awarded a $50,000 pilot project grant as part of $31.5 million in funding to local, state, and national organizations to support programs that support participants in the Supplemental Nutrition Assistance Program (SNAP). 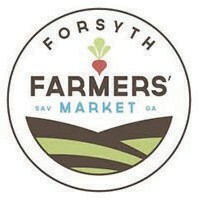 The Forsyth Farmers’ Market project will support their SNAP/EBT doubling program- a partnership with Wholesome Wave Georgia- and outreach and educational opportunities. Teri Schell, Executive Director of FFM, notes “This project will significantly increase our reach in the Savannah community and allow us to bring more good food from our local farmers to our neighbors with the least access to healthy fruits and vegetables.” Accepting and doubling SNAP is one of the ways that we ensure that all community members are able to participate in the good food movement. FINI is a joint effort between USDA’s National Institute of Food and Agriculture (NIFA) and USDA’s Food and Nutrition Service, which oversees SNAP and has responsibility for evaluating the effectiveness of the incentive projects. FINI brings together stakeholders from distinct parts of the food system and fosters understanding of how they might improve the nutrition and health status of SNAP households. The awards under FINI represent a variety of projects, including relatively small pilot projects, multi-year community-based projects, and larger-scale multi-year projects.